Practices does not always make perfect! 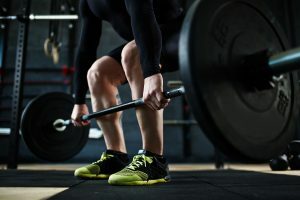 Weightlifting/Gym Training is a skill that your body learns by repetition, BUT if you are repeating the same dodgy movements time and time again, you end up reinforcing bad movement and are setting yourself up for an injury. At The Physio Clinic Bristol, we offer Lifting Technique Sessions. In these sessions, our highly qualified Strength and Conditioning (S&C) Coaches, will teach you how to perform lifts that most people don’t execute correctly. Lifting weights the correct way is a must if you want to stay injury free and get get the most out of your training. Remember “perfect practice” makes for a good lifter. Our Strength and Conditioning (S&C) Coaches will teach you how to perform some of the most common lifts, such as Squats, Deadlifts and the even more advanced Olympic Lifts if you wish. They will analyse your movement- giving you advice and cueing to help you improve and perfect your lifting technique. The session will last 60 minutes.